London - Mauricio Pochettino admitted his side had produced one of their worst performances of the season against Man United. Tottenham Hotspur had won five of their previous seven league games and could have gone level on points with Manchester United with another victory on Sunday but a shocking first half performance halted those thoughts. The hosts led by Wayne Rooney ran out comfortable winners on the day. Pochettino admitted they had produced one of their worst performances of the season, but the Spurs manager has not given up on a top-four finish. 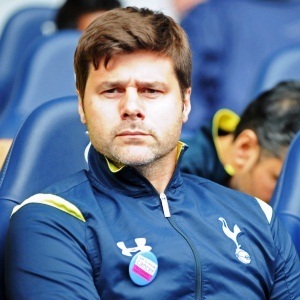 "I am not disappointed with the result because it is a consequence of our poor performance," Pochettino said. "We started the game very slowly physically and mentally and I don't understand why because we were ready to compete. "The first half was poor and it is difficult to come back from 3-0. You can lose here but our performance was poor. "We need to try and analyse and fix that. I don't remember when was the last time we had a similar performance. "We are in a position where all is possible. It is very difficult because we are competing with five sides like Manchester United."